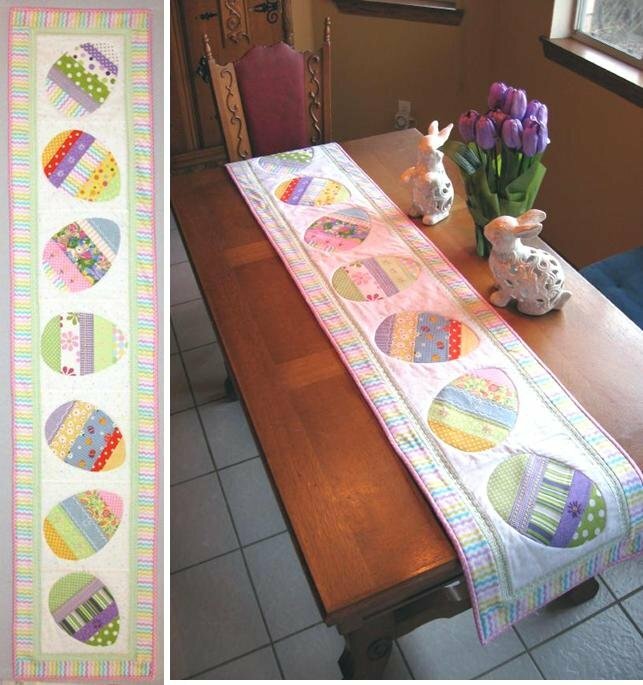 This Easter table runner is a great way to use scraps from your stash. If you prefer all the same fabric, that works too. This table runner goes together quickly for a last minute project. Approx. 16" x 72"